The China Center and Global Minnesota invite you to a lecture by Dr. Zhang Qingmin, who is visiting from the School of International Studies at Peking University in China. Dr. Zhang will be speaking on China's Ambitions and Constraints in the 21st Century. 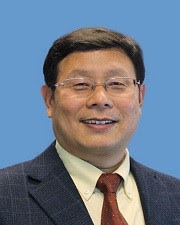 Dr. Qingmin Zhang is Professor and Chair of the Department of Diplomacy in the School of International Studies at Peking University. His teaching and research interests include Chinese Foreign Policy, Diplomatic Studies, Theory of Foreign Policy Analysis, and China and East Asia. He is the author of China's Foreign Relations, U.S. Arms Sales Policy toward Taiwan: a Decision-Making Perspective, Contemporary China's Diplomacy, and more than a hundred peer-reviewed journal articles and book chapters both in Chinese and English.